To contest a divorce that has been filed by your spouse in Virginia, you must first file a written answer to the Bill of Complaint in the same court that the divorce action was filed. The answer gives you the opportunity to contest each claim made by your spouse in the complaint. This can include contesting the grounds for divorce or relief sought by your spouse related to support, custody of any minor children and property division. You may also contest certain facts alleged in the complaint, such as how long you or your spouse lived in Virginia or the length of time you have been separated. Virginia requires that parties to certain contested divorces present their case to a commissioner before a judge will be appointed. This requirement applies to contested cases in which one spouse objects to either the grounds for divorce or facts relied upon for the type of relief sought. However, referring the case is not automatic; the parties are required to sign and file a request in the circuit court where the divorce action is pending. Once the matter has been transferred, a commissioner will hear testimony and evidence from both spouses. It is important to note that once a case has been referred to the divorce commissioner, it must remain there, even if the case is uncontested. After hearing all of the evidence, the commissioner will make a written determination regarding the facts in dispute. This can include how property is to be valued and whether the parties met the separation period requirements. This document is then forwarded to the trial judge for reference at trial. To schedule a trial date, you must file a request with the court, which will indicate to the judge that the case is ready to proceed. 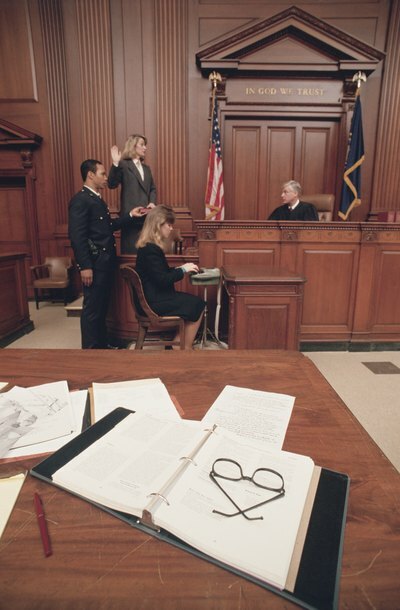 The court will provide you with a time to meet with the judge who will then schedule a trial date, based on the availability of each party and the court. If issues in the case are likely to take a significant amount of trial time, more than one hour, the court will require the parties to attend a pretrial settlement conference. If the parties have children and issues of support or custody is contested, the parties must also attend a parent education seminar. At trial, you and your spouse have an opportunity to present evidence and witness testimony that supports the relief you seek. Once a judge has heard both sides, he will make a determination on property division, support and custody, and issue a divorce decree at that time. If the issues to be resolved are complex, the judge may issue its decision at a later date, by letter opinion of the court. Virginia is one of a handful of states that does not recognize the phrase “legal separation,” but this doesn’t mean you can’t legally separate there. You and your spouse can part ways, then negotiate and sign a separation agreement resolving issues between you. Virginia calls separation agreements “property settlement agreements,” although they address issues of custody as well as property. If you refuse to sign the agreement, your spouse can involve the court to resolve any issues.